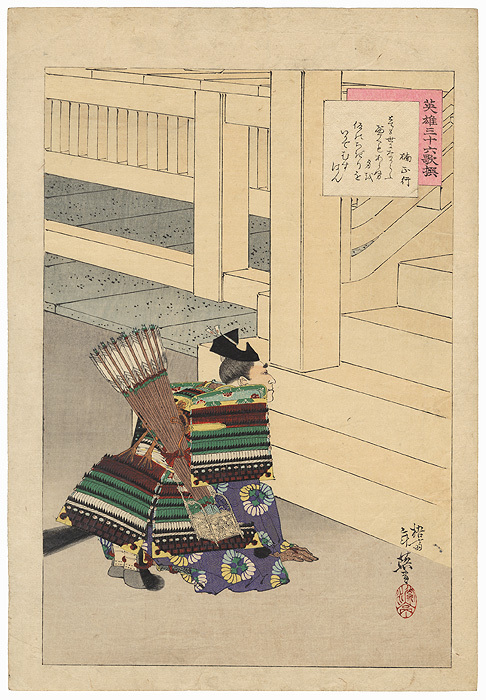 Kusunoki Masashige - Handsome portrait of the samurai Kusunoki Masashige kneeling respectfully at the foot of the stairs to a palace. 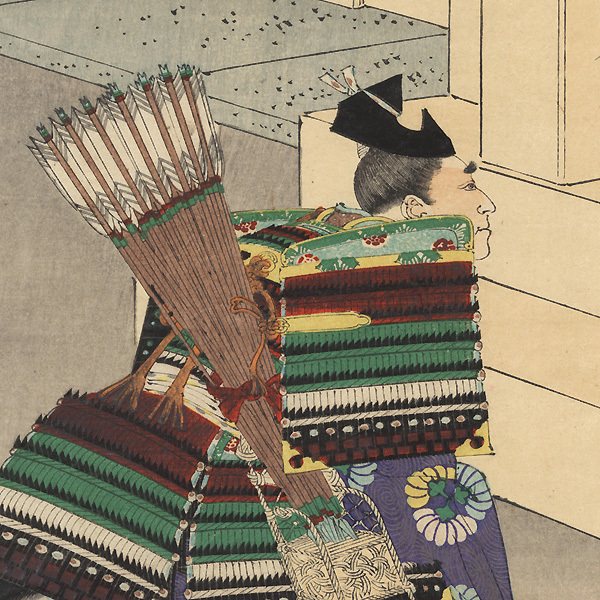 Kusunoki was a brilliant strategist and general who fought to restore the exiled Emperor Go-Daigo to the throne. At the great Battle of Minatogawa, he led his men into the field on the emperor's order, knowing that his side faced superior forces and almost certain death. 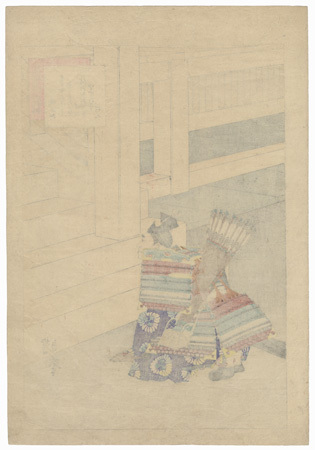 Badly defeated, Kusunoki and his remaining men committed ritual suicide. Kusunoki is remembered for his extreme loyalty and self-sacrifice, and a monument to him stands outside the Imperial Palace. Nice detail in the armor and arrows, with touches of burnishing. Condition - This print with excellent color and detail as shown. Slight toning, soiling, and creasing. Please see photos for details. Good overall.